If you wish to add expenses related to a property's utilities, follow the instructions below. 1. From the desired property, click the Utilities sub tab at left. Each utility company that has been added to the property will display in its own window. 2. Click the + adjacent to the desired utility company name to show the utility detail. 5. 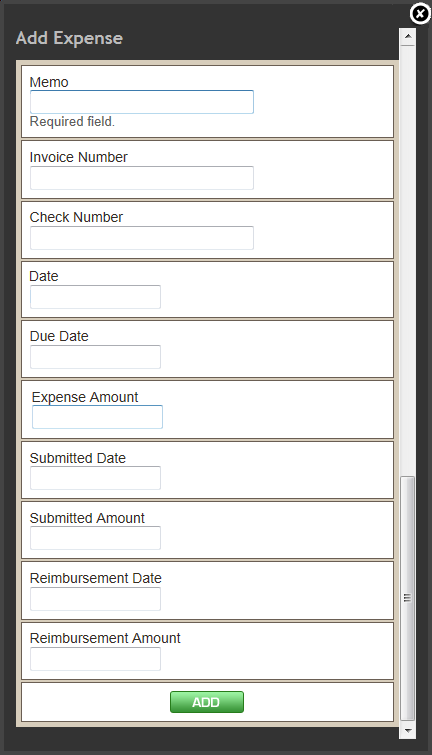 Add expense information into the desired fields. Utility expenses added will also appear on the Property>Expenses sub tab at left, on the Utility sub tab. Expense information can be updated at any time by clicking in the desired field, adding information, and clicking the green Update button at right. Expenses can be deleted by clicking the red Delete button adjacent to the expense, and clicking "Yes" in the Confirmation dialog box that appears.